Tom's path in life is intimately interwoven with his passion to help people live an exceptional and meaningful life. His life-long spiritual quest has led him study with many teachers from Pir Vilayat Khan, B.K.S. Iyengar, Gary Zukav, Neale Donald Walsh, Ram Dass, to many experienced teachers from various traditions. His diverse experiences has led him to teaching yoga and meditation, and majoring his graduate work in religious studies (focusing on Buddhism) to co-founding and working as co-Director of a holistic growth center. 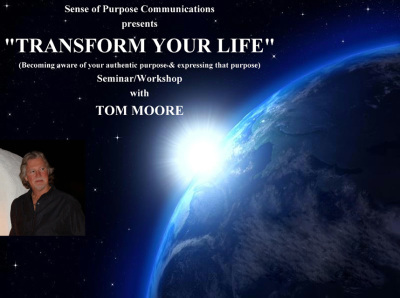 Tom is also the founding director of a business named "SENSE of PURPOSE COMMUNICATIONS" where he shares "Pathways" to live a purposeful and meaningful life, and his seminars and workshops are intensive explorations of human potential. He is also a music producer, and a recording artist working under the name VOYAGER Tom Moore. 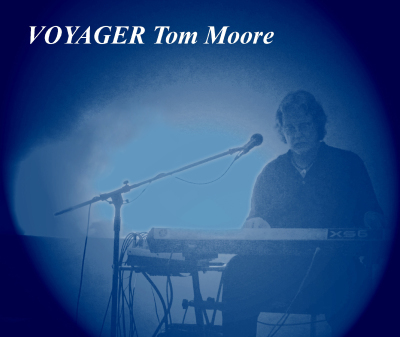 "VOYAGER Tom Moore" is the sound-world of Tom Moore. He creates and plays meditative, ambient, atmospheric, and electronic music. He "explores and shares sound-worlds that rise from, and that express, a timeless source of inspiration." Tom's music is heard on Sirius Satellite Radio's "ZEN" and "New Age" stations, the syndicated "music from the Hearts of Space," Spotify, and is also included in the award winning "Illumination" video production. His music is available as CDs, streaming, and downloads.